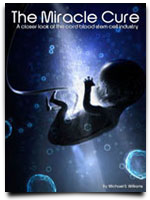 NY | Cordblood banking - Secrets of stem cell technology revealed! Cordblood banking – Secrets of stem cell technology revealed! The Kalorama Information declares a rise of over $700 million funding for the market of stem cell technologies this 2012. The exploration of human stem cell research will expand its scope and it will continue to investigate the numerous benefits of cord blood banking as a source of revenue growth. The study on umbilical cord blood is considered as the least controversial source of stem cells but its process of collection is supported by many health experts and public organizations. A healthcare market research expects that the funding can reach over $1 billion. Last week, a new report was released by Government Accountability Office (GAO) and it reveals the low national supply of umbilical cord blood in the country. In 2005 inventory the sales rose to 14% to more than 38% a year after. But in 2009 and 2010, the number of sales only grew 0.4%. There are nearly 135,000 units of cord blood available in the National Cord Blood Inventory (NCBI) but only 1,200 were used for transplants. These declining numbers might be alarming but those cord blood advocates hope and are still expecting to see a 30% increase of supply, especially from racial and ethnic groups, once they come up with new procedures in collecting cord blood. One reason for this decline is the public cord blood banks are also in tight competition with private banks. Many couples prefer the option of private banking the cord blood until someone in their family needs and use it for no charge at all. The establishment of remote collection program might give the cord blood collection a boost considering mothers can directly send their newborn’s umbilical cord to a bank even if they have no materials for collection at hand. The program’s biggest problem as cited by Health Resources and Services Administration is there’s no guarantee that these circulated kits can also increase the amount of donation. There were 758 units collected as of March 2011, the number of units banked was only 68. Other problems also start to resurface. There are cases of late arrivals, no enough amount of cord blood is collected and the required labels are missing. It’s also found out the collected samples don’t also meet the FDA requirement for licensure. 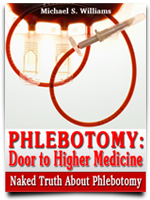 Any unit of cord blood must be treated as FDA-regulated biologic as mandated by the new FDA regulations. In 2002, New York Weill Cornell Medical Center and The Brooklyn Hospital Center donated 1,779 cord bloods to The National Cord Blood Program. 98 percent of mothers giving birth at NewYork-Presbyterian Hospital Weill Cornell Medical Center have chosen to donate their cord bloods. These cord bloods have been used in life-saving transplant operations worldwide, from NewYork-Presbyterian Hospital in New York City to hospitals as far afield as Brazil. Hospitals are also using cord bloods in research that may one day treat such diseases as diabetes and heart disease. (800) 933-BLOOD (2566) or 212-570-3210. Like Boston and Philadelphia, New York City has a stellar concentration of research and teaching hospitals, as well as a huge network of smaller maternity hospitals. Women have a variety of public and private cord blood donor companies to choose from to insure that either their baby’s own cord blood is stored against a possible later use or is donated for the public good. The New York Blood Center’s mission is to provide the safest, best quality transfusion related products and services at a reasonable cost to those who will benefit, and to increase the body and availability of knowledge in transfusion medicine. Mothers giving birth at NewYork-Presbyterian Hospital Weill Cornell Medical Center and The Brooklyn Hospital Center – both members of the NewYork-Presbyterian Healthcare System – voluntarily donated a record number of life-saving umbilical cord bloods to New York Blood Center’s National Cord Blood Program in 2003, representing 41 percent of the Program’s one year cord blood donations. 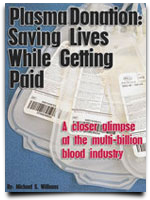 The Program, the largest public cord blood bank in the world, provides half of all unrelated cord bloods for transplant. Patients worldwide have benefited from cord blood treatments for diseases such as late stage leukemia, and scientists use cord blood to research promising new treatments. In effect, many mothers are now giving their “gift of life” twice. Look into this exciting new technology that can save lives and heal the sick! How Could Cord Stem Cells Help Cure Patients with Diabetes? How Important is the Cord Blood Banking Process? How Dental Stem Cells Change Medicine? Banking Cord Blood: More than A Parent’s Responsibility?